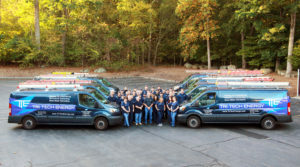 Our company was founded in 1988 and thirty years later the owners of the company still work at Tri-Tech Energy and teach the Tri-Tech Energy Way to our employees as we service our growing customer base. Today the company has grown to nearly 50 employees. Our mechanics are among the best in the industry and have been recognized for their professionalism and qualifications not only by our customers, but also by our suppliers and the manufacturers of the elite systems we install. The “Tri-Tech Energy Way” is something everyone in the organization feels, sees, and lives. From the receptionists to the technicians, everyone in the organization follows the founders lead by working hard, being responsible, and being proactive. This is the “Tri-Tech Energy Way”, and this is what we believe. These principals filter down and guide our team; it is this culture that has earned the company its stellar reputation. Everyone in the organization is provided with the knowledge, experience, and tools required to do their jobs the “right way” each time and every time, and to do it with a determination that insures the best possible service to our customers. Tri-Tech Energy is big enough to handle the largest industrial and commercial mechanical service jobs yet small enough to have the owners available to oversee your project from both on and off-site. Every vehicle in the fleet is equipped with the tools required to do the job correctly and safely. When service is required, a state-of-the-art GPS system is used to efficiently dispatch the appropriate technician to the call, eliminating delays and additional expense to our customers. Tri-Tech Energy’s employees represent our company; so they not only appear in clean, neat uniforms but also have a courteous and helpful approach to their job and our clients. We encourage that. 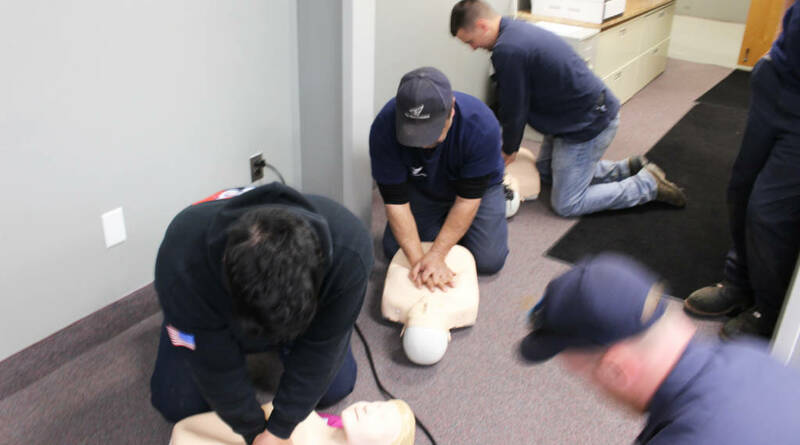 We provide continuing education for all our employees so they are trained and familiar with the latest industry technologies and safety procedures and other personal and professional development opportunities. 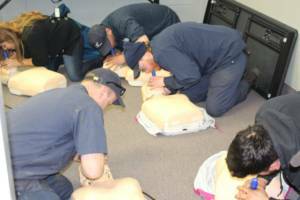 Pictured here is the Tri-Tech team getting certified in the 2018 American Heart Association Sponsored CPR Training and Certification. Our employees receive a generous benefit package including a 401K plan with matching funds, continuing education, tuition reimbursement, group disability insurance, various health care options, and dental care. In addition, all employees receive a highly competitive pay scale and paid time off policy, uniforms and work boots, a tool replacement program, and family time. Our philosophy is that if you want to attract the best, you have to be the best.